The families that Casa Maria serves can’t afford a private Catholic education! At Casa Maria we have been working with parents, teachers, students and community members in support of a quality education for all our children. We have played a significant role in keeping the schools in our barrio open. There is nothing more important than quality public education in regards to liberation of barrio families mired in poverty. Mexican American Studies & Research Center has worked extensively in our barrio in recent years. She has played an integral role in the struggle for quality education in our barrio. She founded La Zona de Promesa which is a group working for excellent education from cradle to college. 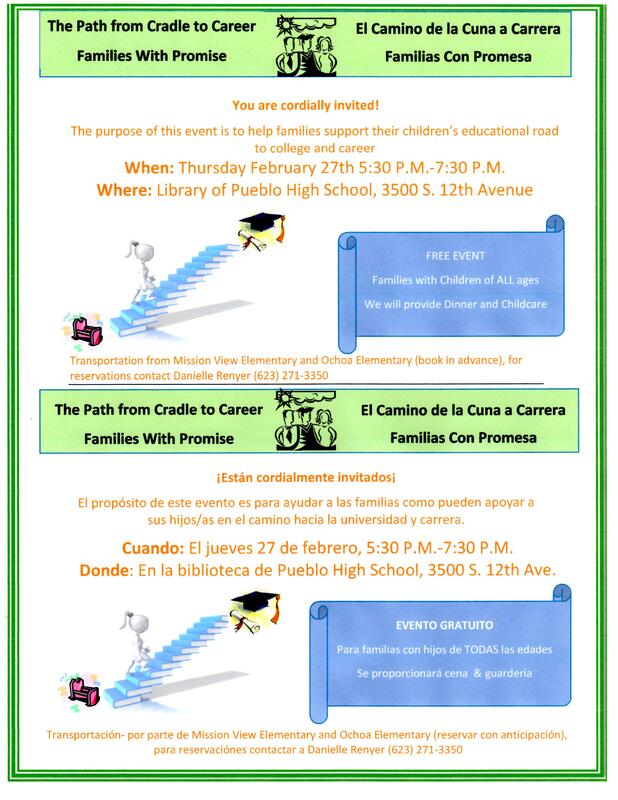 Casa Maria invites you and your family to join us on Thursday, February 27th from 5:30 – 7:30 p.m. at the Family Cradle to College Night at Pueblo High School. Chicken fajitas will be served and there will be several workshops, including “Advocating for your Child”, by Cesar Aguirre and me, Jimmy Ojeda.